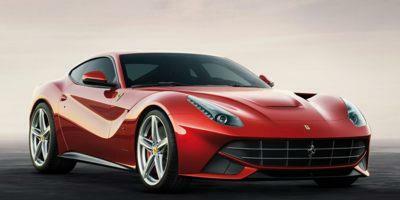 Debuting for 2013 as Ferrari's most powerful V-12 supercar ever sold, the F12berlinetta. Despite looking like a typo, Ferrari officially refers to the vehicle as the ‘F12berlinetta' as a single word. However, a number of publications have broken ‘F12' and ‘berlinetta' into two words. 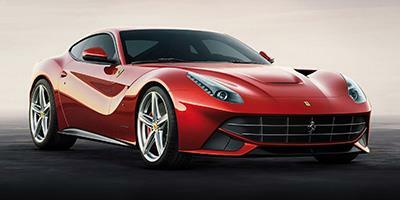 Featuring a silky-smooth aerodynamic shape, the Ferrari F12berlinetta's form is enhanced by an aluminum space frame. Technologies highlighted on the Ferrari F12berlinetta included magnetorheological dampers, F1-Trac traction control and Active Brake Cooling. Operating with a front mid-engine layout, the sports car's momentum comes from a 731-horsepower 6.3-liter V-12 powerplant. Despite the release of the more powerful LaFerrari hyper high-performance car, the Ferrari F12berlinetta remains distinct for being the most potent non-hybrid vehicle built by the Italian sports car maker. In 2012, the first United States-bound version of the Ferrari F12berlinetta was sold to benefit the American Red Cross in relief efforts for areas affected by Hurricane Sandy. The auction sale rose more than 1.1 million dollars for the vehicle with addition funds raised in connection to the Ferrari F12berlinetta totaling more than 1.5 million dollars. The Ferrari F12Berlinetta represents the ultimate in design and performance. Fitted with the most powerful naturally aspirated engine ever to be placed in a Ferrari, the 2014 F12berlinetta can beat many of the world’s best supercars. 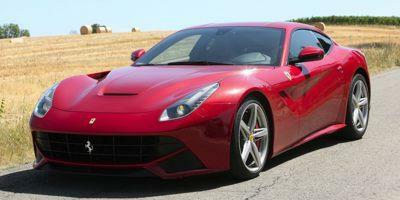 Ferrari’s newest front-engined sports car, the 2013 F12berlinetta grand tourer is being released with the Italian vehicle maker’s most powerful production engine yet at 730 horsepower.